11-07-2018 - On November 7, 2018 unknown culprit(s) stole a wallet containing various cards. The cards were used throughout the Revelstoke area on this date. 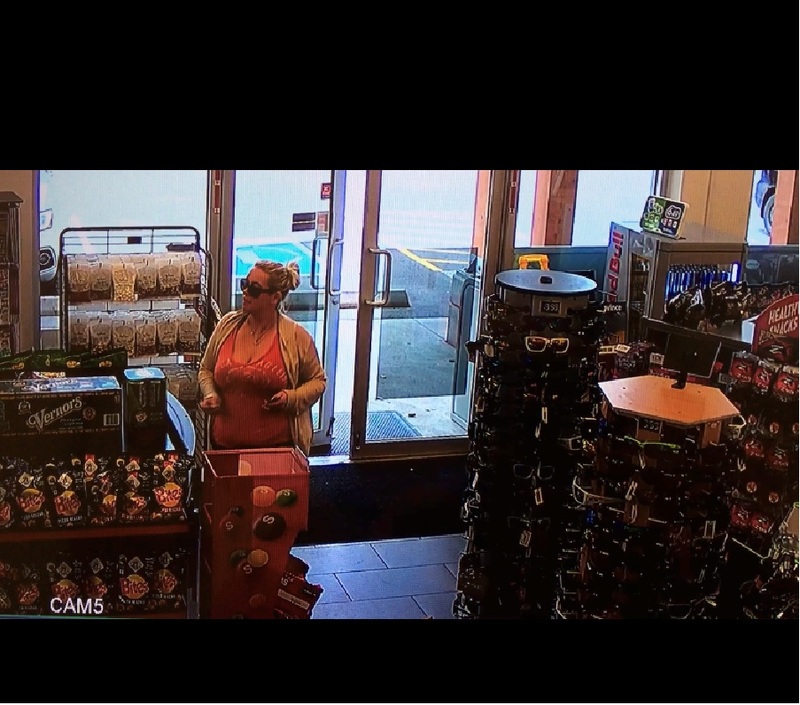 Police are looking for the female featured in the still image described as: Caucasian female late 20's to early 30's, heavy set, blonde hair wearing sunglasses, pink top and white sweater. The female also had a male companion described as Caucasian male early 30's wearing sunglasses, a baseball cap and all dark baggy clothing. The two are believed to be travelling in a newer model white Chevy Silverado with a canopy, four door, extended cab. 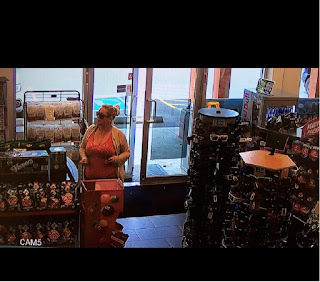 If you have any information with respect to these thefts or any information with respect to any other Criminal act, please contact the Revelstoke RCMP at 250-837-5255 or CRIME STOPPERS at 1-800-222-8477/1-800-222-TIPS or visit their website at www.revelstokecrimestoppers.ca.